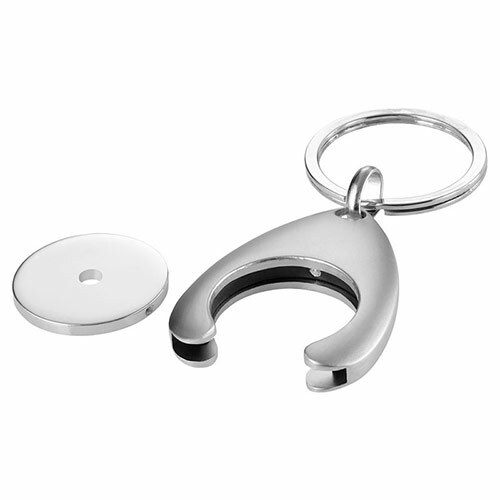 These promotional trolley coin holder keyrings are crafted in zinc alloy with a silver colour finish. 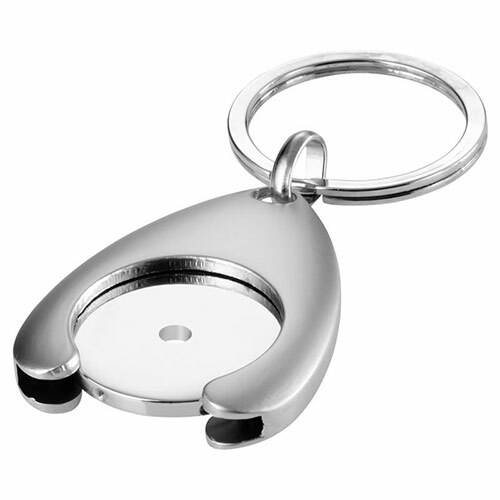 They can be branded via engraving onto the coin holder, and are offered here with free text and/or logo engraving options. 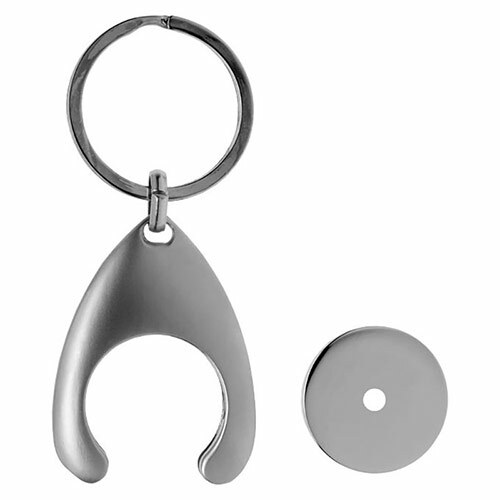 Each silver shopping trolley coin holder keyfob is supplied in a black gift box. Product size: 4.2cm x 0.5cm x 3cm. Weight: 22g.